Adobe InDesign CC is a popular software for designing ebooks, newspapers and magazines. Adobe developed InDesign replacing the PageMaker to compete with QuarkXpress. Adobe InDesign comes with many versions like InDesign CC, InDesign CS6, CS5 etc. This InDesign has offered users a lot more features to use in digital or printable documents such as posters, brochures etc. InDesign CC creates .indd file that can be an ebook (.indb) which is also printable as a book. InDesign CC adds more design to the file in comparison to PageMaker and QuarkXPress. You can use the InDesign CC to create a better resume. If your pdf file needs to be edited, you can do that by exporting the file in Adobe InDesign. The Adobe InDesign also able to open QuarkXPress files (QXP files) and make an edit in it. If you have a pdf file then you can edit that in InDesign and add more design to it. For that, you should convert PDF to InDesign. There are many ways you can convert pdf file to INDD format easily. If you want to convert to InDesign you can do it online or just by downloading an extension tool on your InDesign CC software. What are the Formats Adobe InDesign Can Open? Adobe InDesign creates file in .indd, .indl, .indt and .indb formats. Also, InDesign can open PDF, IDML, EPUB, PMD and XQX (QuarkXPress) files as well. But, InDesign has many versions like InDesign CS5, CS6, CS4 and CS3. Some of the recent InDesign formats are not editable in prior versions of InDesign. How to Convert PDF to InDesign? Adobe InDesign is able to convert PDF file to INDD format if you use any extension tool on your InDesign CC. The software comes with free trial and also can be purchased for your MAC and Windows PC both. 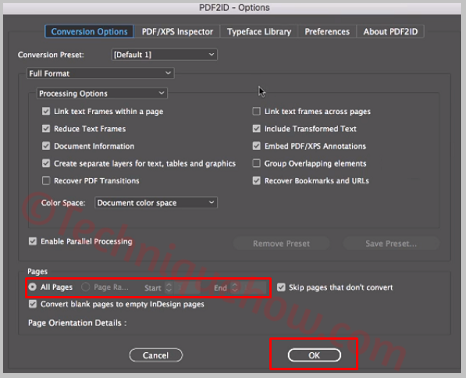 PDF2ID and PDF2DTP do the job of converting PDF files to InDesign. However, changing the file name from .pdf to .indd on your MAC can lead to serious bad issues with that file. These plug-ins are safe and easily convert PDF document to InDesign making it editable. Just you need the InDesign CC to be installed on your PC. These plugins support on InDesign CC 2014, CC 2017 and CC 2018 as well. PDF2ID, developed by Recosoft, works on both Windows and MAC. You will need to buy this plugin to continue the conversion process using your InDesign CC software. However, you can try the free trial version as well. At first, open InDesign and click on 'Recosoft' option from the menu bar. An option will appear as 'PDF2ID-convert PDF/XPS file..'. Just click on it to select PDF files. Now, choose the files to convert to InDesign and click 'Open' button. After that, pop up window will appear. You can select the pages to convert. Once you click on 'OK' button the conversion will start automatically. That's all. This creates a folder saving all the files in it. Open InDesign CC and find for 'Markzware' tab from the above menu. Just, hover the cursor over it. You will get option 'PDF2DTP' then 'Convert PDF ...' and click on it. Now, add a PDF file from your computer to convert into InDesign. Once you click on 'Open' button, the PDF file will start to convert and will be opened in InDesign software. 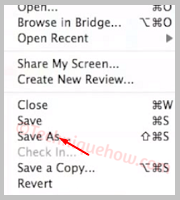 Now, click on 'File' tab from the menu bar and click on 'Save As' option. A new pop up window will appear asking to save the file into the .indd format. Just click on 'Save' button to complete. Once it's done, this will save the files in a folder. PDF2ID becomes a competitor with PDF2DTP plugins in MAC OS. The difference between these two plugins are the frames and time-saving. PDF2ID converts the every text line to a frame where PDF2DTP creates frames per paragraph or column. If you need to move para and redesign pages then PDF2DTP is the best option. However, if you need to move every line or a single line then PDF2ID converter is the only way to do this. 1. Is It Possible to Open PDF in Adobe InDesign? Yes. You can open multiple pdf files at once. You can also select and choose a particular page of the pdf file to open in InDesign. A quick tip: if that pdf file contains only texts then you can select the texts and save it directly in Adobe InDesign. 2. PDF vs InDesign. Which One Creates Smaller File Size? PDF is press-ready file when it is converted from InDesign. That is why InDesign is smaller in size than PDF in most of the cases. There are few reasons for this, the external images on .indd file are compressed on PDF which enlarges the size of the PDF. As InDesign is a working file format this excludes the total size of external images. Another reason is text size. On PDF it is not the text as it converts text to curve which increases the file size extensively. If you have the PDF to edit and make modification then go for these plug-ins. It is recommended that don't convert this by changing the file name as this may damage the file. keep the back up before you start. PDF2ID and PDF2DTP are the best plugins to start the conversion as the first choice.